Okay, right hand on red... (sigh) again. So yesterday I watched the second episode of American Horror Story. 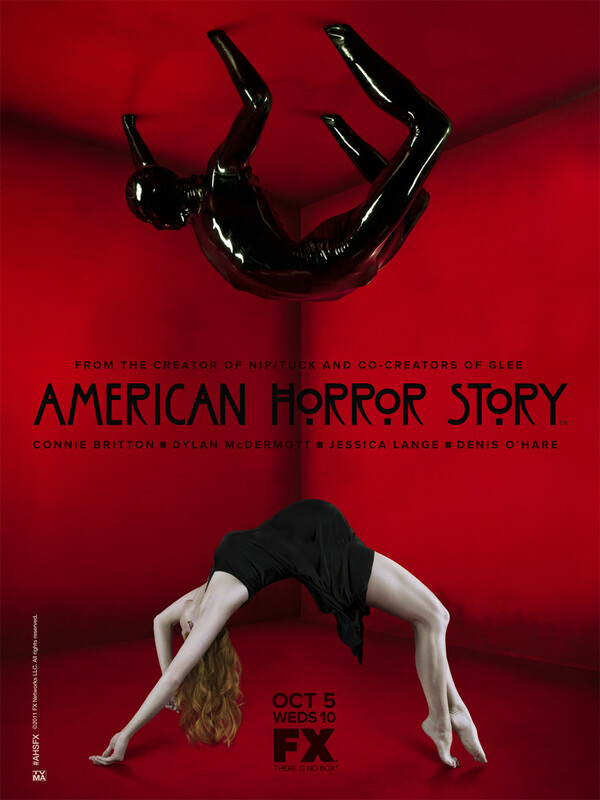 For those of you who haven’t heard of it, it’s a horror show created by Ryan Murphy and Brad Falchuk, the same guys who made Glee. Just so we’re clear, I am not a gleek. Never was, never will be. When I first saw Glee, it was okay, not really my thing. But later episodes got incredibly preachy and too focused on modern politics. When I turn on the television to watch fiction, I just want to relax rather than mentally argue with the show I’m watching. I’m happy to say that American Horror Story stays away from the tired moralizing. But you can definitely tell that there are Glee-ish elements to it from the camera work and the switching of scenes. I still half expect the characters to break into some song and dance routine, but the show takes itself just seriously enough not to do that. Instead, you get a flippant and weird vibe from the characters that reminds you of the Scream movie series. So besides horror, what’s the show about? Cheating husband and psychologist Ben Harmon (Dylan McDermott) is determined to repair his marriage to Vivien (Connie Britton). So he moves the family, including his pain-in-the-rear teenage daughter Violet (Taissa Farmiga), to a huge home. This house was put on the market with a dirt cheap price tag thanks to a murder which took place there. Well, more like several murders. Over the years. And, probably some other stuff, like the creepy art work that they are trying to cover up. And the crazy southern belle neighbor Constance (Jessica Lange) whose down syndrome daughter keeps breaking into the house. Oh, and Tate (Evan Peters), one of Ben’s patients, who admits to bloody, murderous daydreams and masturbating with Violet in mind. Boldly assuming you are still reading this after that blatant description, one of the surprising aspects of the show is that it is much more adult than anything outside of HBO and Showtime’s line up. They cuss, they show off some butts and the gory murders would make Dexter a tad jealous. But FX flashes plenty of adult warnings. I guess I’m used to more tame television on most cable channels. But I’ll get over it. I feel the best way to describe American Horror Story is something like several horror movies squashed into a single show. So far, I’ve seen two episodes and both entertain two different events in the history of the house. Both of which then related to the current episode. This is the show’s best draw, in that the setting is so intricately designed. I suspect that future episodes may run into continuation problems when historical discrepancies begin to occur. But we will see, because despite the shows few flaws, I believe I will continue to watch.